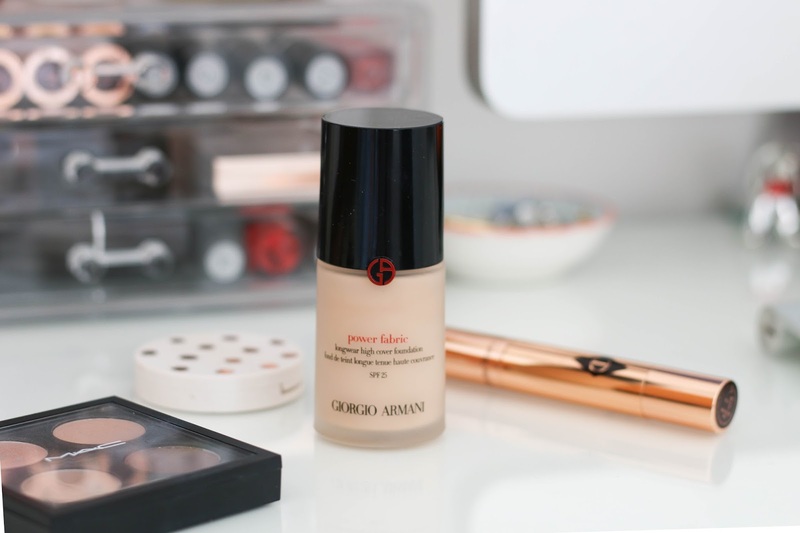 Giorgio Power Fabric Foundation has been making the serious rounds in the beauty community as of late. It buzzed about for quite a while building up hype, and I have to say that this is a foundation that deserves it. 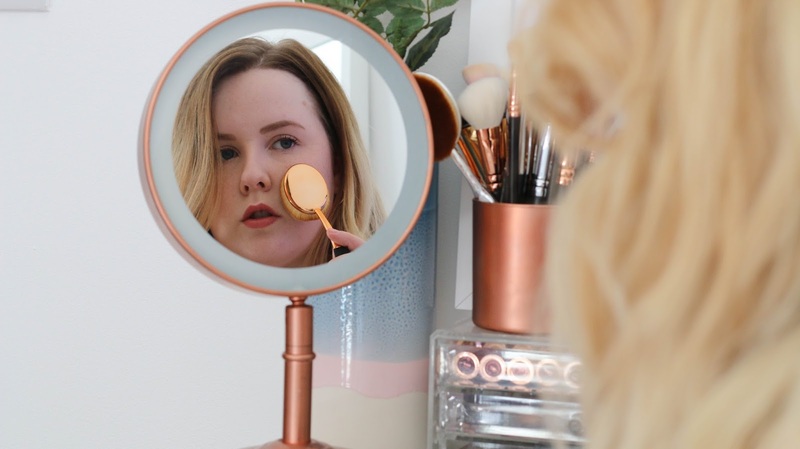 As of late, I have to admit that full coverage foundations have not been my jam, but as soon as bae of all baes, Sali Hughes spoke about it, I knew it had to be mine. The Power Fabric Foundation is described as 'long wear foundation with a lightweight finish. For an all day-long impeccable luminous complexion in ANY circumstance.' When a foundation claims to do this, I make it my total life goal to test it. Before I went and bought it I grabbed a sample and road tested it through a stressful work day, followed by a drink with friends and then followed by a gym session, and babes, it LASTED. I was super impressed at the longevity. Especially as I am a serial face toucher. Foundation always rubs off easily on me because I habitually rub my chin, nose and forehead. So by 12pm I usually look like a relatively patchy mess if I'm not wearing a good base. My pals, this is a damn good base. I would say that Power Fabric is a medium coverage natural finish foundation. It's not powdery matte, its more demi-matte with a super super slight shimmer to it to bring a bit of glow. When this has been on your face for an hour or so, oh man, you look so healthy. Its that you skin but better finish that will make people ask what you've done differently that day. If you are fan of Estee Lauder Double Wear, Power Fabric is your jam. Even if you love something a little lighter such as Charlotte Tilbury's Light Wonder I think you'd like this as its got that same sort of glowy vibe but with a ton more coverage as Light Wonder. I wear the shade 3.0 which is on the pink porcelain scale, and shockingly not the lightest shade. The range consists of 15 different shades and boo to that because only around 4 of those shade cover you gorgeous WOC. I am hoping they bring out more once the range is a bit more established. I also want to say that in comparison to Luminous Silk by Giorgio Armani, Power Fabric wins for me. Luminous Silk seems to break me out almost instantaneously whereas Power Fabric doesn't do this at all which is equal parts weird and fab. The Giorgio Armani Power Fabric is available here, incase you fancied it! What is your favourite Autumn Foundation?